Cross-Fertilization in scholarly publishing: who, what, where, when and why? As the scholarly publishing landscape diversifies and the number of stakeholders multiples, it’s hard to keep up with who’s who, what they want, and what they need. In this informal "Question Time" style session, panelists from inside and outside publishing shared their own and their organization's experiences of successful collaboration and cross-fertilization. The chair, Alice Meadows from ORCID, believes cross-fertilization is organised serendipity, finding connections between people, organizations, or other things that you wouldn't find out in the usual run of business. Helen Bray of the Knowledge Transfer Network believes it is about bringing together businesses, entrepreneurs, academics, and funders. Progress is driven by unusual interactions. Innovation is a contact sport that brings people together. Nicko Goncharoff from Digital Science observed they don't think they can succeed without collaboration. No single company can 'own' the workflow. Collaboration is paramount. He reflected on the STM Association scholarly sharing initiative that he's now leading as something that can serve both researcher and publisher needs. They have focused on the challenges and have held some - somethings tricky - discussions around article sharing. He believes you always have to try bring people into the fold. People take scholarly publishers for granted, but human curation is important in the digital age. Andrew Stammer from CSIRO Publishing in Australia echoed fellow panellists about the value and benefit that can be gained from cross-fertilization. When Australian ecologists listen to aboriginal peoples oral histories, they accelerate their research. This thoughtful and inspiring session was a wonderful way to close the ALPSP Conference. Here's to more scholarly cross-fertilization in advance of next year's conference in The Netherlands! 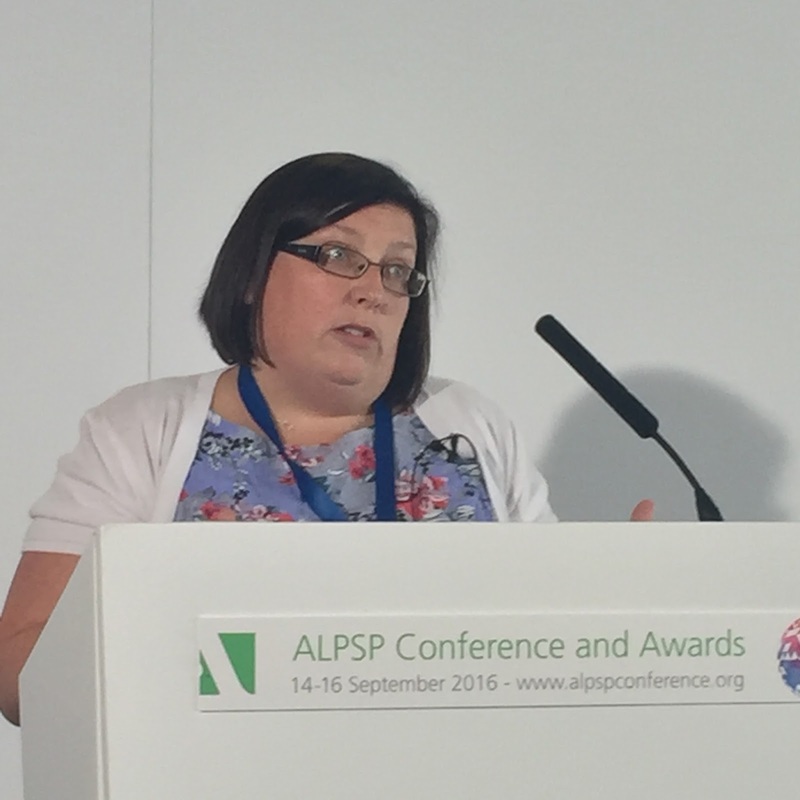 Cross-Fertilization in scholarly publishing was the closing plenary at the 2016 ALPSP Conference. You can view the full session on the ALPSP YouTube channel. What is the most exciting opportunity for scholarly communications in the next two to three years? And what is the biggest challenge? There is no doubt that open content is the biggest challenge for the scholarly sector. We are entering a change of era that is radically transforming the publishing sector. We are currently in the midst of a major transformation of cultural habits that is dramatically altering people’s behaviour in acquiring and consuming all kinds of academic and professional content. Book industry professionals will have to accept that the main channels of growth will not involve mainly the sale of print books, but rather the sale of new kinds of digital content (audiobooks, transmedia books, fragmented eBooks, etc.) via yet unimagined new business models. Like it or not, the way culture is being created, accessed, and consumed is itself going through a historical transformation. In the next few years, consumers will have never-before-seen access to staggering amounts of user-generated information and knowledge which will require a reorganization of the scholarly sector. What were your thoughts when the results of the UK referendum on the EU were announced? It is in the interest of all parties (UK and EU) that the UK exit of the EU is managed in a gradual and orderly way to avoid a bigger disruption between both of them. Both sides have to come to terms and understand that they are destined to get along. Laura Ceballos is Business Development Manager for CEDRO. She chaired the Digital Business Models panel discussion at the ALPSP Conference in 2016. You can watch the full session on the ALPSP YouTube channel. Melinda Kenneway, co-founder of Kudos, chaired the panel discussion exploring what is Beyond Article Level Metrics at the ALPSP Conference in September. Change is coming, but it's not just metric wars, it's much bigger than that. Ben Johnson, Policy Advisor for HEFCE stressed the need for responsible metrics. They are everywehere - a layer on top of peer review. And for researchers, quality is wrapped up in publishing. The Research Excellence Framework (REF) costs £250 million. While it's only 2.5% of the overall cost of research, it is always questioned in terms of value for money. Whatever the concerns around peer review, he observed, it is still considered the gold standard. Inappropriate indicators can create perverse incentives so these indicators need to be underpinned by an open and interoperable data infrastructure. This means that ORCID ids and DOIs become even more important moving forwards. Johnson then announced the UK Forum for Responsible Metrics. Further details are available on the HEFCE website. Jennifer Lin, Director of Product Management and Crossref, talked about the foundations needed to support the development of metrics. There has been an explosion of new, more diverse metrics that fit under the heading of 'altmetrics'. They hold power, constituting power, values, and livelihoods. But the infrastructure is mostly invisible, and you only feel it when it breaks. We need to understand the infrastructure behind metrics, understand metrics better, and the effect they have on research and researchers. Would a single non-proprietary body be ideal to coordinate our efforts on metrics? Liz Allen, Director of Strategic Initiatives at F1000, talked about the opportunities to share science and its impact. There are suggestions that the concept of the journal is outdated, and open access is merely tinkering at the edges. Publishing processes can get in the way. They don't have editors, but do pre-pub checks for ethics, quality and readability. Their open approach allows them to give full credit to reviewers. Open Science feels like the democratisation of research - it's very exciting. They are working with funders on these types of initiatives, including the Wellcome Trust on Wellcome Open Research. The Beyond Article-Level Metrics panel was held at the ALPSP Conference 2016. View all the sessions on the ALPSP YouTube channel. The evolution of long standing publishign models is continuing and there are pressures on the underlying business models. What different business models have developed? What opportunities do they present? How have they evolved across books and journals? The Digital Business Models panel at the ALPSP Conference provided different perspectives on what's new and developing in this area. Chaired by Laura Ceballos Watling from CEDRO, speakers included Jose Fossi, Vice President of Client Services for PubFactory, O'Reilly Media, Phill Jones, Director of Publishing Innovation at Digital Science, and Dr Julia von dem Knesebeck, Found of Open Publishing GmbH. The ALPSP Conference was held at the Park Inn Heathrow in London on 14-16 September 2016. 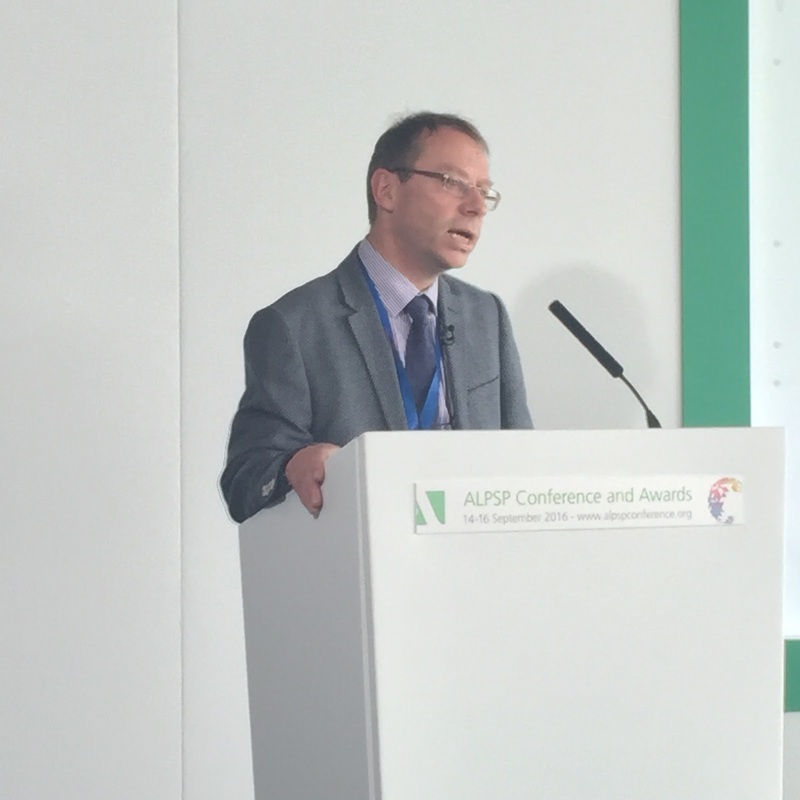 View the different sessions on the ALPSP YouTube channel. 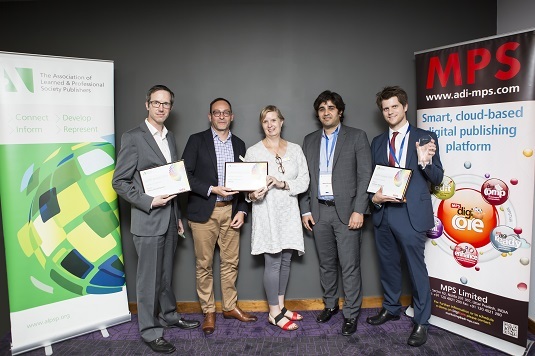 The ALPSP Conference is over for another year and the winners of the 2016 ALPSP Awards for Innovation in Publishing are celebrating. 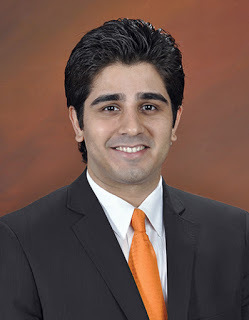 As life gets back to the normal routine we took time to speak to Rahul Arora, Chief Executive Officer of the Awards sponsor MPS, to find out what he thinks about innovation and scholarly publishing. How would you define innovation? “Disruptive innovation describes a process by which a product or service takes root initially in simple applications at the bottom of a market and then relentlessly moves up market, eventually displacing established competitors”. To explain the MPS understanding of disruptive innovation: we don’t consider UberX to be a disruptive innovation, since UberX made the market more efficient but did not expand the market. However, one could argue that UberBlack was disruptive to the luxury rental car market. What part(s) of scholarly communications do you think need to innovate the most? Why do you think that is? Manuscript submission and peer review systems: There have been some “sustaining innovations” at the higher tiers of this market segment but this market segment is ripe for disintermediation or an outside entrant disrupting the status quo. Some publishers have already decided to lead the charge by developing in-house software. Production Management Systems: Having deep and intricate systems have been typically associated with the larger publishers. This market segment is ripe for a disruptive platform that provides deep level of functionality in a competitive manner so that it can be accessed by all publishers, irrespective of number of books and journals published in a year. Typesetting and publishing services: HTML5-based typesetting is well under away. The reliance on InDesign and 3B2 is diminishing. This space has seen a series of innovation but is now ripe for a disruption where publishers don’t need manual touch points but rather publisher platforms speaking to supplier platforms. What are the most exciting innovations you have seen over the last couple of years that you think will really move scholarly communications on? Why were you interested in supporting the ALPSP Awards for Innovation in Publishing? MPS has been growing through our technology business and through acquisitions. Technology services and platforms have no meaning if we aren’t disrupting the status quo. And the underlying principle behind our acquisition strategy is simple --- we aspire to be the most meaningful partner to publishers and recognize that we consciously need to reinvent ourselves to achieve this goal. We can all predict that the scholarly market is ripe for disruption; however, how and when will this disruption take place is something we will have to live through to see. 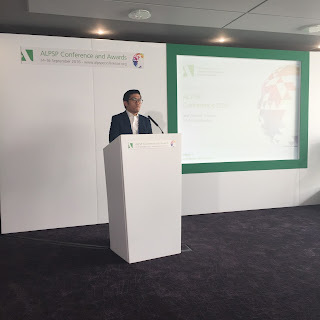 Supporting the ALPSP Awards for Innovation in Publishing allows MPS to be closer to the reality of disruption and also support change agents that will help deliver this Disruption. What do you think the finalists demonstrate about innovation in the industry? 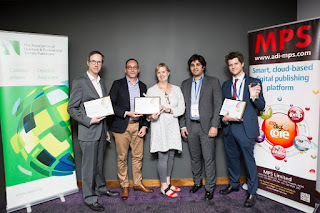 Cartoon Abstracts from Taylor & Francis and Wiley's ChemPlanner were announced as joint winners. ORCID were Highly Commended by the judges. MPS Limited are the sponsors for the ALPSP Awards for Innovation in Publishing. The 2016 winners were announced at the ALPSP Conference 14-16 September 2016. Isabel Thompson, Market Research Analyst at Oxford University Press, chaired the morning plenary on Thursday at the ALPSP conference with a session focusing on the changes in publishers' engagement with academia and researchers. She noted that academics don't care how publishing works, they just want it to work. Researchers are readers, authors, peer reviewers and editorial board members. As a publisher, you have to find right voice for each one. Without academic engagement there is no publishing. hard copy signed conflict of interest statements are required before submission - can be a very long-winded process! COI statements need original signatures from all authors... on six continents... at submission! length of time between submission and publication. Matthews sent a survey to colleagues and received over 100 responses. Results showed that researchers are happy with peer review, but not the timeline and available support. 47% felt the publication process didin't support innovation or allow creativity. People obsess on the Impact Factor, but it's broken. She closed on a more optimistic note: there is a willingness to discuss this from all parties. Dr Emma Wilson is Director of Publishing at the Royal Society of Chemistry. She outlined how much effort they put in to maintaining a two way dialogue with their community. This involved a lot of scientific conference, international engagement, and by building in-house teams in other countries. They support students and early career researchers via poster prizes and emerging investigator issues of journals. They use social media, but mainly for broadcasting information about them. However, it is growing in importance through initiatives such as through the Twitter-based poster conference. Dr Sacha Noukhovitch is Executive Director and Editor in Chief at the STEM Fellowship/STEM Fellowship Journal. He feels that with open access, an unexpected, uninvited readership appeared spontaneously - students. A new generation of data-native students is tapping directly into research papers alongside professionals. These students lack the background knowledge, but they use their data skills to understand and interpret the world. If one students finds a paper interesting, others swarm to it creating a real buzz and students use academic communities to help understand complex concepts. They approach parts of the editorial process in a very different way, something that publishers need to follow and engage with. The ALPSP Conference was held at Park Inn Heathrow London on 14-16 September 2016. View the videos of the session on the ALPSP YouTube channel. The demise of peer review in its traditional form has long been predicted, indeed demanded by some. And yes, we’ve been talking about peer review for a long time – what more is there to say? The reality is that peer review is evolving and tailoring itself for difference communities. How can publishers ensure they have the right model in place, at the right time? Most attention has been focused on the needs of quality controlling the traditional article in the sciences and there has been limited attention paid to managing the needs of a global and technically sophisticated and diverse scholarly environment. Peer Review is Dead! Long live peer review! was a session at the 2016 ALPSP Conference chaired y Pippa Smart, Editor-in-Chief of Learned Publishing. The panel presented case studies and opinions on how review outside the traditional scientific article is managed, what specific needs humanities and social science publications must address, whether there is a global balance between authorship and reviewing, and how reviewer quality can be assessed (an important factor if reward for their efforts is to be granted). Perfectly timed - a few days before Peer Review Week - you can view the whole session here to #recognizereview for #PeerRevWk16. The ALPSP Conference was held at the Park Inn Heathrow London 14-16 September 2016. Further information on Peer Review Week 2016 is available online. At a time when developments in technology and the emergence of new services have so much potential for our communities, what should we be doing as publishers? What is the core expertise of a publisher today; should you buy or build your way to growth? Jon White, Sales and Marketing Director at Semantico, chaired a panel of speakers who considered different aspects of what publishers now do. Alison Jones, Director of Practical Inspiration Publishing, suggested that 'buy or build' is the wrong questions. Collaboration fits with the general cultural move from ownership to access. Traditional publishers are much better at competitive strategy than collaborative strategy. Chris Leonard, Head of Product at Emerald Group Publishing argued that publishing articles is a solved problem, but the services around them aren't. They did a lot of UX research and looked at a range of websites that worked - including The Daily Mail's Sidebar of Shame. iTunes playlists inspired their ideas for create-your-own-bespoke-journal functionality. Lynne Miller, Managing Director of TBI Communications, focused on the pursuit of high differentiation with low cost. Publishers can stay relevant and working with an agency can be a good way of avoiding internal politics and an unbiased view. Key industry trends are in content marketing, content sharing, author services, impact & outreach and big data. Strategy is also about deciding not what to do. Define what makes you unique and focus on resulting market opportunities. Dietmar Schantin, Founder of the Institute for Media Strategies, observed that we now expect easy access to relevant content in any place on any device. The audience now looks for best of breed, rather than showing loyalty and want to be engaged in the communication flow. Multi-platform publishing is essential as is cross channel communications that are linked and across media. New fields of expertise have developed - audience insight, social media and distributed content, user experience. News publishers respond by investing in tech start-ups, hiring people from other industries, outsourcing non-core aspects. And remember, a fool with a tool is still a fool! Timo Hannay, founder of SchoolDash, was the final speaker of the session. He asked if data is something that publishers should outsource. Data ought to have a particularly pertinent meaning to us as publishers, purveyors of knowledge and that the separation of data and content is anachronistic. Converting rich data into PDFs puts us in the data destruction business. Publishers are worryingly keen to outsource data work; content and data aren't two different things. SchoolDash publishes research in any format that serves our purposes, not in journals. They're really keen to enable the reader to interact with the data directly themselves. Everyone in this room has the capability to do what we're doing; if you're not, that's through choice. 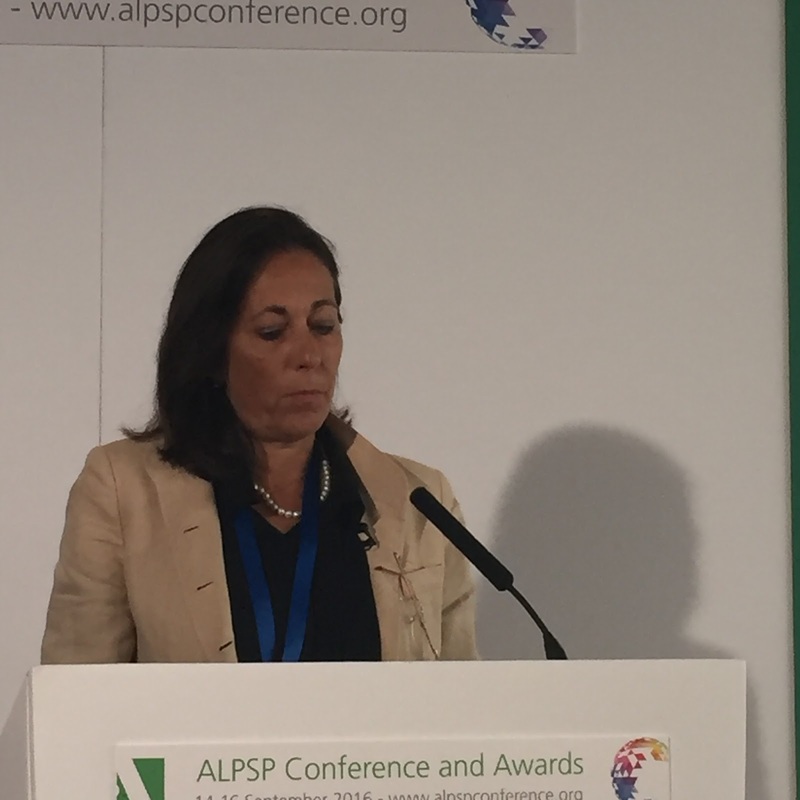 The panel took place at the 2016 ALPSP Conference. The 2016 ALPSP Conference Industry Updates session provided a round up of the latest new developments, major project and industry standards updates. Chaired by Louise Russell from Tutton Russell Consulting, here's a round-up of the projects that were covered. What is the cost of getting rights wrong? Sarah Faulder, Chief Executive of the Publishers Licensing Society chaired a session that offered advice on developing the correct rights acquisition strategy. They recently worked with the other collecting bodies to re-negotiate what is paid to rights holders. The outcome from the valuation last year based on journals 76% to publishers, 23% to authors and 1% to visual artists. This will be reviewed in 2019 and it is hoped that it will be increased for publishers. However, this is dependent on getting tighter documentation demonstrating rights. Faulder urged the publishers in the room to get into good practice now by ensuring you have the right rights as it will be key to a successful negotiation. They have also launched PLSclear: a new permission clearing service to help with the identification of rights holders. Rights are very important, but they come with obligations: to use and enforce them. Obtaining appropriate rights, understanding the rights you have and fulfilling your obligations in respect of those rights for each of your content assets is vital. You should look at every aspect of your content and cover every copyright base. When you are acquiring rights you should think about what you might do further down the line. The speakers considered how to ensure you have all the rights you need for your content, and provided guidance on the systems, support and training that is available. Clare Hodder of Rights2 Consultancy and Natalina Bertoli from Bertoli Mitchell outlined seven commercial risks of poor rights management. Lost income: good rights management practice results in increased revenues. Stifling innovation: good rights management enables you to innovate and move swiftly to market with new products. Hard to combat piracy: good rights management enables you to combat piracy and unauthorised use, protecting your business. Increase costs and risks for mergers and acquisitions: good rights management enables mergers and acquisitions to be completed swiftly and at the right price. The panel then discussed ways to avoid these risks. Put rights management at the heart of your business from the top down. It has to be recognised and you need to train all staff, not just editorial. You need systems and documentation. Rights management often gets sidelined. Risk of short term inconvenience not worth risk of lost income or rights. Don't leave it solely to those who have targets. Should publishers invest in rights management? Absolutely. Often rights are low down on the scale of things to invest in. You can caution or scare with big numbers of what it might cost. But even for smaller publishers you can do a lot with very little. Have a centralised filing place and a very good naming convention. It is preferable to do it digitally, but you can still do this with filing cabinets! Have someone in the organization who has responsibility for it. And regularly check and remind this needs to do. Conduct regular audits on your systems and that systems are being adhered to. In addition to every bit of content you should think about how the content might be used for in different ways. Big publishers might aim to get all rights from the beginning, but rights holder often push back. If you don't get what you wanted, you can go back to renegotiate or rethink what you can do. Don't proceed as if you had them! Recording what you have in terms of rights is key. Asset management systems are needed. What you need is information about the rights you have. Until we get to databases holding rights metadata you have to find a way to slice and dice content agreements so you can identify different aspects. If you have a relatively small list you could use Excel. If a little larger you could get someone to put an Access database together. It doesn't have to be an all singing and dancing rights. When dealing with reversions (where a publisher or creator requests rights revert back to them) make sure you give them the same paper trail and structure as you would a new rights agreement. Be VERY explicit in your wording: title, authors, formats, etc. Use a template format so nothing is missed. Often rights acquisition is delegated to a junior member of staff with limited experience. It is vital to build in training programmes on rights management to ensure this doesn't end up being a problem. Sarah Faulder is Chief Executive of the Publishers Licensing Society. Natalina Bertoli is Owner of Bertoli Mitchell. 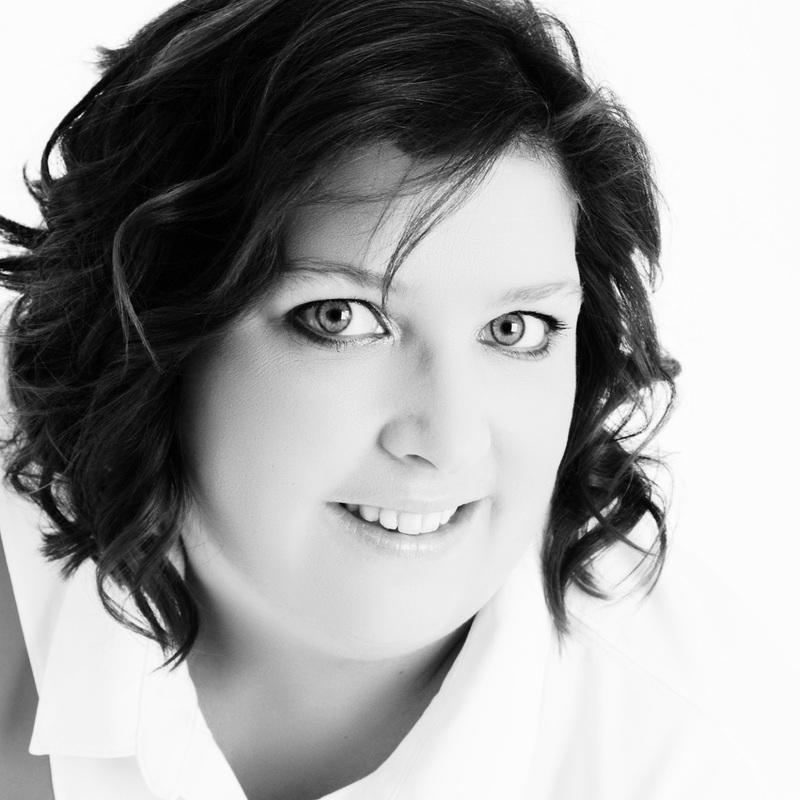 Clare Hodder is co-founder of Rights2 consultancy. They spoke on the PLS Gold+ Sponsor session on rights management at the 2016 ALPSP Conference. Much has been said about disruption in the publishing industry, with a focus on the changes that digital developments have brought. But there are many other disruptions facing publishers, not least the shifting political landscape throughout the world. Rober Kiley from the Wellcome Trust outlined their plans for opening up access to the research outputs. It helps to accelerate discovery and its application for health benefit, but also provides great return on investment. Challenges include tackling infrastructure and changing culture and incentives. There are issues around having the right skills and capacity to do this. The publisher requirements have come about to simplify the whole process and ensure they get what they pay for. There are still instances where articles have been funded and published as open access, but still behind paywalls on publisher sites. Their key requirements for deposit are that the final version of peer reviewed articles should be available in XML and PDF and deposited in PMC. Material changes must be made to PMC and include Crossmark where available. The Licence must be made available via CC-BY and the statement must be included in XML and be human and machine readable. The invoice must include the title of the articles and publishers must have a refund policy. They have been in contact with a number of the larger publishers and see trade bodies such as ALPSP as being key to reaching out to other organizations. Other Wellcome developments include Wellcome Open Research. Researchers will be able to get their research published quickly and it will include all research outputs. It fulfils all their open access requirements and the data is published alongside so the research is reproducible. It is transparent - open, author drive, peer review. Finally, it is easy as the costs are met directly by Wellcome. Wellcome is also looking at preprints. It reflects the growing interest in this area as they provide researchers with a fast way to disseminate their work, establish priority of their discoveries and obtain feedback. They also offer a more current understanding of an investigator's work. They are working within Wellcome to amend grant application EoG forms so preprints can be cited. They are developing grant reviewers and are working with ASAPbio. They are keen to change the culture by encouraging researchers to publish preprints. Alex Hardy is a publishing lawyer at Harbottle & Lewis. She covered the legal status of the results and four key areas of IP law, contract law, data protection and copyright law. What the referendum DIDN'T ask is when and how we should leave the EU as well as what kind of relationship should the UK and EU continue to have. Article 50 is the legal mechanism by which to serve notice. But it has never been invoked before so it is unknown territory. The short term impact involves currency fluctuations as well as changes in the trade relationships outlook. We are proceeding with caution with refocussed lobbying and campaigning. Alternative models are being explored including European Economic Area, European Free Trade Area or a more bespoke arrangement. For intellectual property rights including copyright, departure from the EU would leave national law and international treaties largely as it is. For EU harmonisation, the UK has been heavily involved and very influential. But there is a risk the UK will lose it's influence. For the EU, there's a risk they will lose UK content. It is possible the UK will leave the EU during the EU Digital Single Market. There is still an opportunity to continue to engage, comment and contribute to discussions. EU trade marks will continue in the short term, but you may need to move to a UK trade mark. It might be worth registering both in short term to minimise risk if you can afford it. For contracts, consider reviewing the territorial scope, trade and IPR licences. You should also take into consideration governing law and jurisdiction. EU courts are likely to continue to respect English law contracts. Arbitration is likely to be more popular. You should consider alternative dispute resolution. You should think about termination rights. Does the EU constitute a force majeure that mean you can review pricing or service terms review? There might be opportunities for renegotiation. Consumer contracts are heavily shaped by EU law. There may be a post-Brexit review, but if you want to do business with the EU you will need to continue to comply. The EU General Data Protection Regulation is automatically and equally enforceable in all member states to have a single EU law. It provides stronger rights for consumers and stricter obligations for companies. Penalties are harsh with 4% of turnover or 20 million euros. It has been four years in the making and comes into force in May 2018. Brexit is no excuse for not complying for the UK as they will still be in the EU when it comes into force. It also applies to anyone outside EU processing data to offer goods/services to EU citizens. There also needs to be adequacy of law required for data protection. The UK will likely fully adopt the GDPR regardless of Brexit. Act now before it is too late. May 2018 is not far away. With employment law, free movement of people is a key political issue. There is no clarity on the post-Brexit position. Businesses are starting to audit and assess opportunities for claiming rights to work in the UK and EU. Companies might want to consider diversifying recruitment policy and must be aware of discrimination. Review your policies and make sure you remain compliant with existing UK law. She closed asking how can you survive the shifting sands of Brexit? Her answer is to take stock, be prepared and try to influence. Andrew Tein provided an updated on open science in the EU and called for engagement and leadership in this area. The open science policy agenda is driven by economic pressure, technology and innovation as well as the evolution of research practice. In terms of policy practice there is open access and copyright reform and protection. How do we engage and how do we lead the conversation with the rest of the community? How do we develop the rights tools and services? How do we deal with the SciHubs of the world? There are some fundamental principles. Research stakeholders should advance sustainable open access and open science policies that ensure flexibility aligned with needs of discipline communities avoiding imposing unnecessary burdens on researchers. Brussels is a slow, steady and confusing place. In May 2013 Horizon 2020 (2014-2020) was launched with general principles on OA and Open Data. In May 2015 'A Digital Single Market Strategy for Europe' was released which acknowledged the importance of science and research to boost innovation. In May 2016 the Competitiveness Council Conclusions on the Transition Towards an Open Science System were published. It is expected there will be three different mechanisms for consultation: digital consultation, working and steering groups and the Commission has clear goals they want everyone to work towards. As ever, there will be a number of opportunities and challenges around these areas. Ziyad Marar is Global Publishing Director at SAGE Publishing. 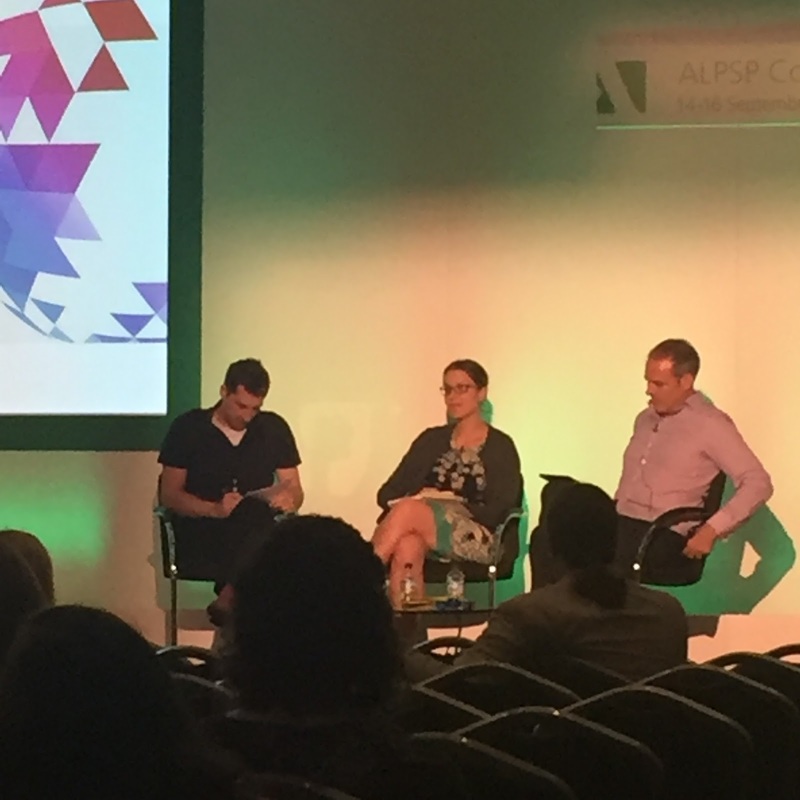 Chairing the first plenary session of the ALPSP conference, he engaged his colleague Ian Mulvany, Head of Product Innovation, and Fran Bennett, CEO and co-founder of a big data company Mastodon C in a conversation about publishing in the age of big data. Is big data hype and nonsense - just an exciting term that let's an agency sell their services? Fran Bennett believes there are some fundamental things that have changed that mean it is so much more than that. It can help companies open up new insights, generate additional income and lower barriers to technology entry. As the technology gets better it can do different applications. There is more data and cheaper processing. Mastodon C are working with the UK Government department responsible for animals and farming. They are collecting all the data of dead livestock. They don't have enough staff so sometimes patterns get missed. They use computers to identify any of these threads to analyse post mortem. They can take messy structural data and sorts it out so expert humans can use their time more effectively and in a targeted way. Ian Mulvany thinks high quality content is what we do as an industry, but it's all digitally mediated content. All publishing organizations need to be technologically competent. We're in a mixed world of software solutions that are beginning to be commodified. But the variety of the services around them are living in a handwritten world: a dilemma he is endlessly fascinated by. Corporate applications of big data can transfer to publishing in market projections, customer retention, internal SWOT analysis and with hiring. Mulvany asks how many publishers have tried to re-analyse their entire corpus using big data techniques? Not many hands went up... there are lots of opportunities here. Bennett observed that a good data scientist is a statistician who can code and understand the context of their data and warned against tracking things purely because you can: the risk is you create 'data exhaust' that you can't do anything with. Mulvany noted that some fields have long worked with big data and have good standards and procedures to deal with it. He is particularly interested in working with researchers that have realised they have a whole load of data and don't know what to do with it. There is a 'data under the desk' problem. Data is collected sporadically, is not necessarily kept well, and isn't large scale. Caution was called for by delegates in the audience and on Twitter when using algorithms for peer review: it can and will be exploited by researchers. The panellists all agreed that machines can do the dirty work for us, but not all the work. Marar outlined the work of the Berkeley sociologist, Nick Adams, who is using crowdsourcing and algorithms to look at reports on the Occupy movements in nine cities. Analysis that would normally have taken 15 years has actually taken one year, and is finding interesting patterns. He also cited the work of Gary King, a Harvard social scientist who is developing and applying empirical methods in many areas of social science research, focusing on innovations that span statistical theory to practical application. Social researchers are coming more slowly to big data analysis, but are doing some unusual work with it. SAGE Publishing has conducted a massive survey into the area of data and social science with over 13,000 responses. It's something they are focusing on as a priority. An interesting side issues when looking at social data is sometimes, when you look at the data, you find that the quality of it is not what it might be, with potential to lead to data protection breaches on a grand scale. There are differences between ethical and legal behaviour concerning datasets. it may be cheap to capture and hold data, but expensive to extract, clean and deliver it. Mulvany closed with the observation that there are researcher needs, potential development tools, but why should the industry care about these things? Because at our heart we are about democratising knowledge and finding the right solutions and people around that knowledge. If we look purely at their purpose it will give us the realisation on how we make it happen. Those tools are becoming cheaper to experiment and innovate with. So we should do so. Ziyad Marar is Global Publishing Director at SAGE Publishing where Ian Mulvany is Head of Product Innovation. 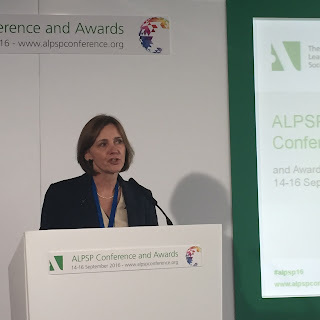 Fran Bennett is CEO and Co-Founder of Mastodon C. They took part in a panel discussion at the ALPSP Conference 2016. 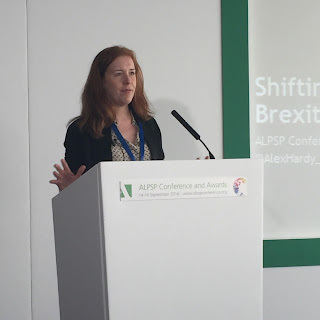 Zoe Harris, Group Marketing Director at Trinity Mirror Plc kicked off the ALPSP Conference with the keynote. She has worked in TV, magazines and advertising: who better to hear from about how other industries have dealt with and embraced disruption? Trinity Mirror have learned that the local, regional and national press can no longer be suspicious of each other. Tabloid newspapers have a bad reputation, but The Mirror is passionate about being different. Yes, they want to entertain, but they also want to inform, investigate and campaign. In such a challenged market revenues with 10% year on year readership decline 20% year on year advertising decline, with digital revenues slow to make up shortfall, how do they adapt? They have looked outside and inside for inspiration. They have learnt to have a thick skin and be resilient. Disruption is everywhere. Netflix is disrupting pay TV. Airbnb has in five years become the main hotel chain rival selling more rooms than the whole Hilton group worldwide. Uber has totally changed the taxi business forever. You no longer give an address, you give a postcode: a fundamental change in behaviour. Online estate agents like Rightmove hit Trinity Mirror hard. Five years ago they had £150m revenue in this area. It dropped to around £30m in 2015. There has been an explosion of disruptive news brands including: HuffPost Buzzed and Facebook. For Trinity Mirror, they have skilled journalists, trusted brands, scale and reach, experienced commercial teams as well as strong branding nationwide. It's easy to get stuck in a rut becoming afraid to change anything from the past. Audi asked their engineers how could they win a race if our car could go no faster than anyone else? By phrasing it that way, they looked at other areas of development. The answer was fuel efficiency. They won the next three years. Newspapers often look at problems the wrong way. The decline in The Mirror readership isn't a recent trend. It's been happening over decades driven by digital, behavioural trends and competitor activity. Crucially, the demographics of the UK have changed. it has gone from a pyramid upper class, middle class, working class to a diamond shaped elite, bulging middle classes and breadline existence. also an issue of journalists as part of the establishment, chummy with politicians and big business alike. There are a number of initiatives they have tried. You need to have a thick skin, fail fast, and work fast to adapt to disruption and change. One part of their response was to launch a national newspaper - New Day - which shut two months after launch. They always had a plan to have a go and if they were going to fail, to fail fast. With data journalism they have built a specialist team that monitor, scrape, analyse and use Freedom of Information laws to research and find new stories. Looking through data to create news stories for their titles. They also create engaging and interactive gadgets to make the news personal to the audience. By making data personally relevant to them they can make them care about issues that should matter to them all as well as hold councils and governments to account. They have also used content curation. Clipboard, News 360 and other services have built big markets quickly. New and different opinions rarely get seen where we have our filter bubbles of online services that use algorithms to find content you will like. Trinity Mirror launched a new app - Perspecs - a curated news application. It offers three different perspectives on each news story from other sources. It adds diverse opinion and transparency. It also facilitates the discovery of new sources. The fast reproduction of content is a real challenge and the speed and breadth of local coverage. For their regional titles, being part of that local life is what they've always done. Now they're doing it differently, because that's what readers want. They work with police forces, local courts and sport clubs reporting on their own matches. They have seen huge increases in local traffic. They have set about doing this by focusing on local knowledge and building a connect with local readers who want to reach out to them. This also builds a strong local advertising platform for sustainability. How? They've focused on audience data. While page views are their primary metric, they listen to others such as time spent on page, bounce rate and percentage of readers who are local. While journalists have strong gut instinct about the local audience wants, but it's important to get out to meet people combined with understanding the audience. They have also doubled down on audience analytics, finding out what they know works and ask themselves what else might. It is passion and belief that will give you determination to meet changing needs of your communities. But it is the ability to expect the unexpected and adapt that will see you through. 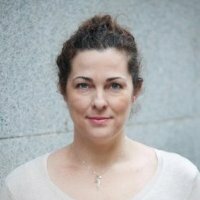 Zoe Harris is Group Marketing Director at Trinity Mirror Plc. 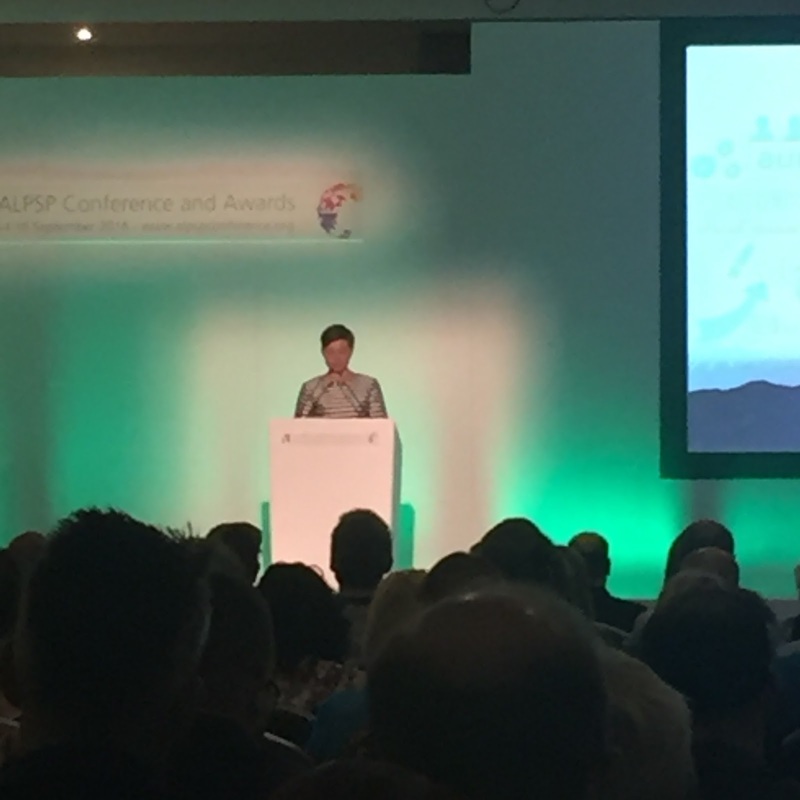 She provided the opening keynote address at the 2016 ALPSP Conference. Clare Hodder, one of the speakers on the Are Your Rights in Order? PLS sponsored session at the ALPSP Conference, is passionate about the right way - and wrong way - to do rights. We interviewed her in advance of the conference to find out just exactly what the problems are. What are the cost of getting rights wrong? There are a few things...missing out on revenue from subsidiary rights, because you don't know what rights you have to licence, not being able to digitise your backlist because you don't know if you have the rights, not being able to enforce infringement action because you have no documentation to prove you are the rights holder (as in the Georgia State University case). And that's just the start. In one instance, a publishing company had to pulp an entire first print run, because they realised too late in the day, that the licence they thought they had acquired for the picture on a book cover, didn't come with an image release from the people pictured. The people in the picture objected to the use of their image and insisted the book was pulped. The publisher had to foot the bill for destroying their stock, finding an alternative image and reprinting the book and of course valuable sales opportunities were missed and marketing effort wasted, due to the delay to publication. Some rights holders, particularly photographers are getting really hot at looking for unauthorised uses of their work on-line. Publishers who have acquired licences for a certain number of years or to cover a certain number of copies have been finding themselves on the receiving end of lawsuits when they have exceeded those terms unknowingly. In most cases settlement is reached relatively quickly but its time-consuming and expensive - damages awarded for such infringement, particularly in the US courts are high. If you have comprehensive rights data on all of your assets, the world is your oyster. You can endlessly re-publish, slice and dice, and licence those assets in infinite combinations, broadening the reach of your content and generating lots of additional revenue. Without that data, you don't know what it is possible to sell or licence so you either miss out on those opportunities or become a copyright infringer - risking large financial and reputational penalties in so doing. It makes so much sense to put your rights in order first and set yourself up to fully exploit the content you have invested in. Which of the 7 ways to avoid risks can you share in advance of the conference? Make sure you have a rights acquisition policy that is widely known within your organization (and complied with!) getting the right rights in the first place saves you a whole world of pain later on! Guard against the raft of infringement claims now facing publishers by ensuring you can manage licence compliance. Adapt systems and processes to alert you when you are about to exceed licence terms and give you time to re-licence or remove content to avoid infringing. Clare Hodder is a Rights Consultant with Rights2 consultancy. She has been working with the Publishers Licensing Society to develop PLSclear and delivering Straightforward Permissions and Rights Management workshops. Clare will take part in the Are Your Rights in Order? 7 risks and 7 ways of avoiding them at the ALPSP Conference 2016 at 2pm on Thursday 15 September.